Do we live in a great city or what? I had a wonderful weekend with both of the showcases at CCM, celebrating what’s good about young talent in town. Also, Xavier students produced VOICES FOR CHANGE, which I unfortunately had to miss but I’m sure it was excellent. I can’t wait to see their production of SPRING AWAKENING coming soon. This week there’s just a handful of new things to check out including SERIALS 2: THUNDERDOME which has its final installment tonight. Look for an in-depth discussion about the shows that participated coming later. You should consider coming to Know Theatre for the hottest theatre party in town tonight. Click here for details. 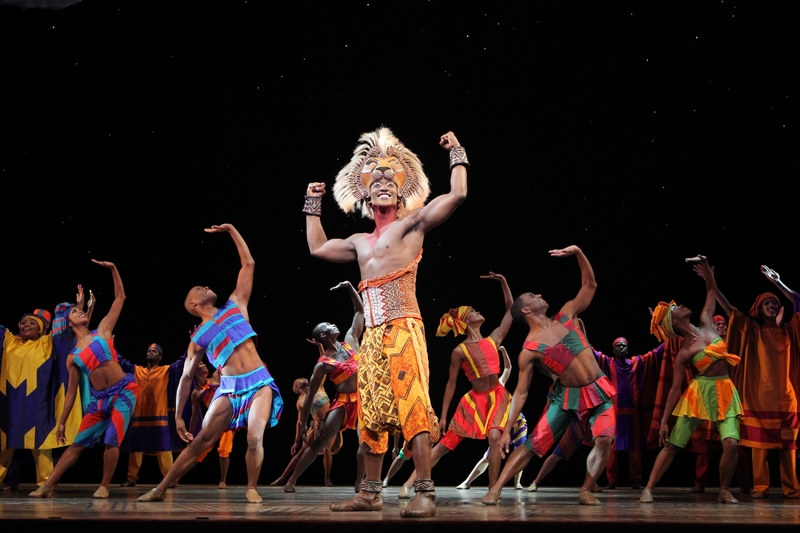 Wednesday, I have the privilege of seeing Disney’s THE LION KING as part of the Aronoff Center for the Arts Broadway Across America series. I cannot wait for this one; I’ve never seen it and have heard that its simply a spectacle and shouldn’t be missed. I love the music; I can’t wait to see it brought to life before my eyes downtown. At last report there were a handful of tickets let but not many. The show runs through April 26th. Click here for more information. 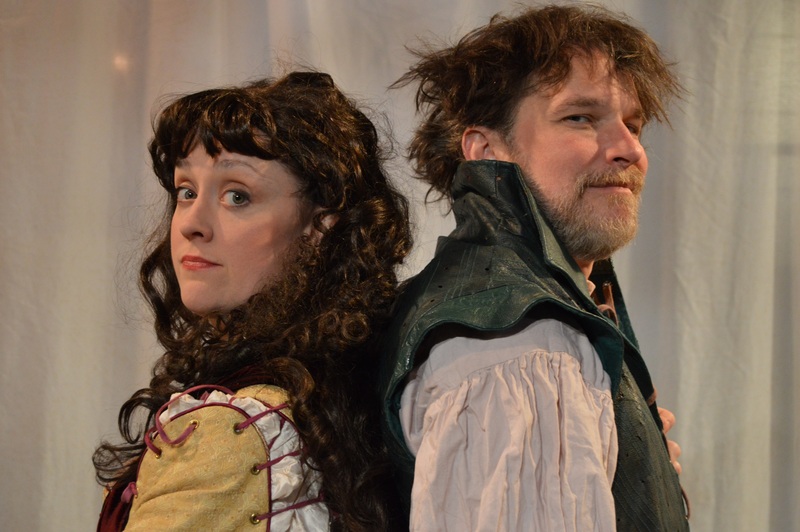 Kelly Mengelkoch as Kate and Nicholas Rose as Petruchio in Cincinnati Shakespeare Company’s 2015 production of William Shakespeare’s “The Taming of the Shrew”, directed by Kevin Hammond, playing April 3-25, 2015. Performances are located at CSC’s Theatre, 719 Race Street in downtown Cincinnati. Tickets are $14-$35 and are available now online at cincyshakes.com or by calling the box office 513.381.2273. Photos by Cal Harris. Baptista has a problem, and her name is Kate. His eldest daughter is so strong-willed, stubborn and downright shrewish that, despite her considerable family fortune, not a single man in Padua is willing to marry her. That is until the arrival of Petruchio, a brash and bumptious fortune-seeker who has come “to wive it wealthily in Padua.” Confident in his ability to “tame” the cantankerous Kate, he takes her to wife. Is he up for the challenge, or has Petruchio finally met his match? Who will end up taming who? Find out in Shakespeare’s classic, comedic battle of the sexes The Taming of the Shrew. This classic features Kelly Mengelkoch, Nick Rose, and others and runs through April 25th. Tickets and more information can be found here. Don’t forget the other great options on stage around town right now. I highly recommend BUZZER at the Playhouse. I also liked DETROIT ’67 at Ensemble Theatre. If you’re a fan of Monty Python style humor, fairy tale origin stories, or the Peter Pan mythos, check out PETER AND THE STAR CATCHER also at the Playhouse. HEARTS LIKE FISTS at Know Theatre might appeal to an audience of superhero comic book fans. There are others; check out a complete list at Rob Bucher’s BEHIND THE CURTAIN CINCINNATI.